Thu, September 13, 2012 12:00 P.M. 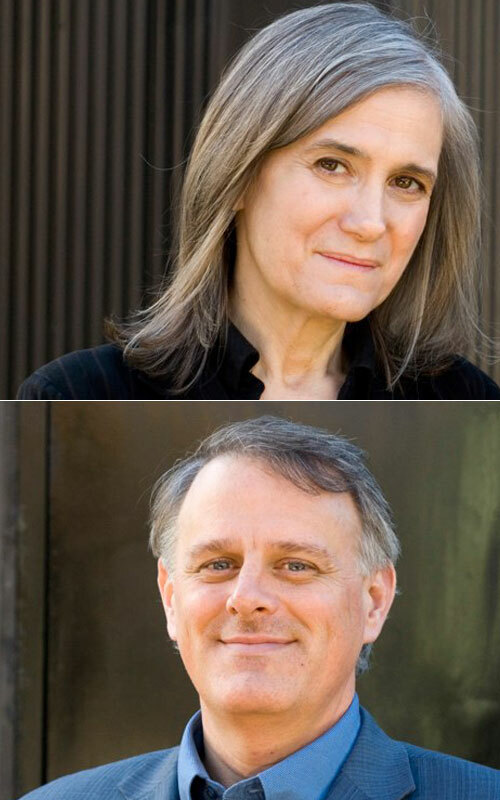 In The Silenced Majority, grassroots journalism pioneers Amy Goodman and Denis Moynihan show the power of ordinary people to change their media. The host and executive producer of Democracy Now!, an award-winning independent news program airing on more than 1000 stations throughout the world, Amy Goodman is a recipient of the first Right Livelihood Award, a commendation for personal courage and social transformation that is known as the “Alternative Nobel Prize.” She is the author of four New York Times bestselling books, including Breaking the Sound Barrier and Static. Denis Moynihan, helped found Democracy Now! as an independent production company, as well as a noncommercial, community radio station in Colorado.